Science per Forms was a study on nonhuman or cybernetic dance. The ideas of dance by both human and nonhuman, communication in motion, and the polemics of Donna Haraway were discussed by crew and artists. Among human performers, robot vision and projected geometries, mechatronic arms were also charged with the expression of dance - a movement in sound and time to evoke emotion and empathy in the viewer. Bespoke wearables were also designed to translate human movement into real-time digital data. Performed at the Christ Church Theatre. 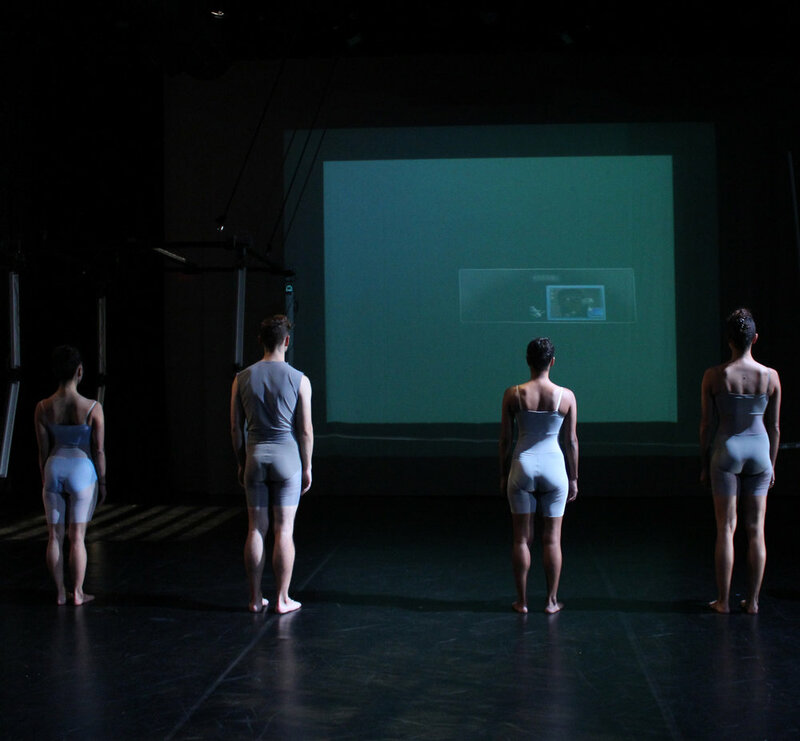 Developed and produced with choreographers Meredith Rainey and Marcel Williams Foster, with ModLab, and the Hacktory. Dramaturgy by Kate Watson-Wallace. Supported by PennDesign and the Office of the Provost, University of Pennsylvania. Photography by Kate Raines, Lendl Tellington. Videography by Kordae Henry, Andrew Gardner.